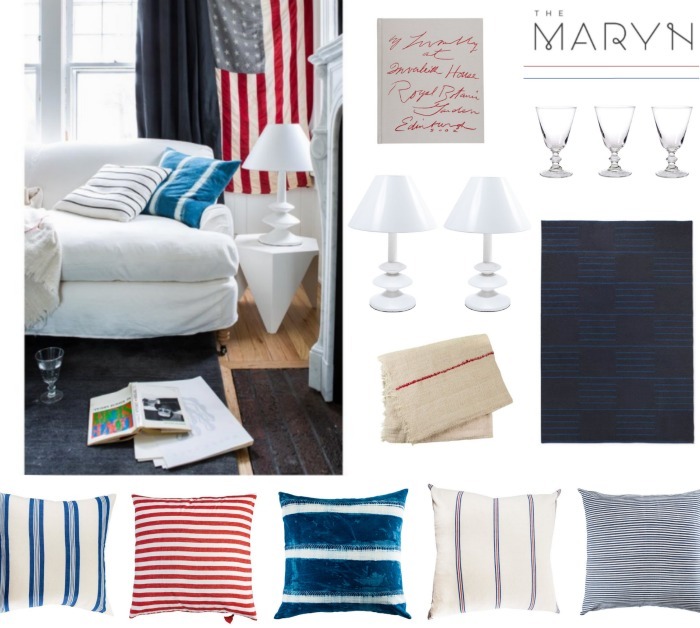 Just in time for the Fourth..... Red White & Blue from The Maryn, a curated home decor & lifestyle brand founded by Michelle Adams. You might already be familiar with Michelle from her wildly successful previous work with today's go-to shelter magazines - cofounder of Lonny, creator of TRADhome and previous EIC of domino. In 2014, Michelle departed the publishing world & New York City for her roots in Ann Arbor, Michigan (tour her home here) and credits the shores of Lake Michigan, Sausalito, Montauk, and the south of France as inspirations for The Maryn's signature style.